It’s Voting Time, And 2014 Is A Critical Year! Citizens of Savannah, the 2014 primaries and elections are most important because THE PERSON(S) we choose to represent us on the local, state and federal levels will determine our economic, educational, and health and wellness fates, and yes, even our rights to safety and protection from guns, but most importantly, our ability to voice our opinions through the power of the VOTE. We need to turn out and VOTE with the same, or More determination, steadfastness, will-power and vigor that we exercised in the November 2012 Elections, and not let any of the obstacles and road blocks that have been put in our way through recent legislative actions “turn us around” or discourage us. Primary and Non-Partisan elections are scheduled in the State of Georgia for Tuesday, May 20, 2014. Our voices through the VOTE need to be heard loud and clear, beginning on the Local level, then to the State, and on through to the Federal levels. First and foremost, IF YOU ARE NOT REGISTERED TO VOTE, or know of someone who is not registered, please do so on or before the DEADLINE ON APRIL 21, 2014. Second. STUDY THE CANDIDATES, THEN GO TO THE POLLS, AND CAST YOUR VOTE for the person(s) who will represent you, and fight for the economic, educational, health, safety, and voting rights and privileges that will benefit you, your children, grandchildren, family and neighbors, as opposed to those representing the wishes of a privileged few who make large campaign contributions or have ideologies that exclude the general welfare of the masses. Let your VOTE send a message. 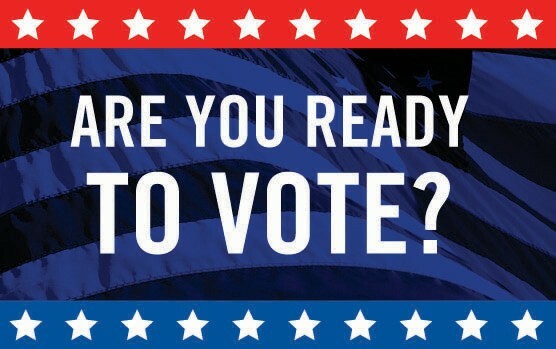 Early Voting for the May Primary elections begins on April 28, 2014. Third. There is a difference between a Primary Election and a Non-Partisan Election. The Primary Election is used to eliminate candidates from a field of contenders in the same Party down to one candidate who will seek a particular office to represent that Party: Democratic, Republican, or Independent. Then one winning representative from each Party runs again in the General Election on November 4, 2014, and one winner will be declared. A Non-Partisan Election is similar to a General Election. There is no Primary, and candidates do not declare their Party affiliation on the ballot. The winner takes all, unless there is need for a run-off between the two candidates who did not get a majority vote. Keep this in mind as you vote in May. Primary election candidates in the democrat and republican parties will run for the following positions: Federal: U.S. Senate, U.S. House Of Representatives. State elections include Governor, Lt. Governor, Insurance Commissioner, etc. Non- partisan local candidates seek the following positions: Savannah-Chatham County School Board President and District Representatives, Judges, etc. Get ready now! Make plans to VOTE on May 20, 2014 and in the general election on November 4, 2014.